Amanda over at Celiac and Allergy Adventures asked me to write a guest post for her blog, and I was honored and excited to take on the task! She asked me to write about my experience with anaphylaxis and how it can take a mental and emotional toll on you. It was therapeutic to write about my struggles with anxiety as a result of my anaphylactic allergies. As a kid, I knew it wasn’t fun when my throat would start closing and I’d get stuck with needles and pumped full of epinephrine, but it wasn’t devastating After all, ambulance rides as a kid are pretty sweet. As an adult, I developed a whole new horrifying perspective. Now I have the mental capacity to realize how close to death I creep with each instance. 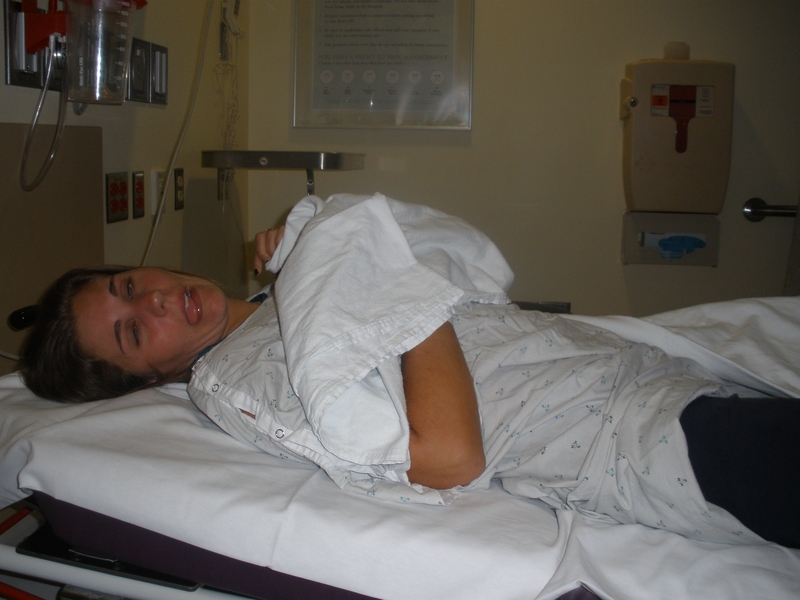 My spontaneous anaphylactic reactions and developing allergies to new foods/medicines made me terrified to eat or drink anything, therefore causing panic attacks when I would have to. See the problem? Apparently as human beings, we have to eat and drink. I guess it keeps us alive and nourished, or whatever. So head over to Celiac and Allergy Adventures and check out my guest post, “When You’re Too Anxious to Eat”! If not to read it, then to see some gnarly pics of a girl all drugged up on benadryl, epinephrine, and prednisone. You’re welcome. Thanks, Amanda, for the opportunity to guest post! Thank you! It is really scary, and that’s why the panic attacks started. I would have night terrors and flashbacks of each episode, it was awful. One time I was sleepwalking and was having a dream that my throat was closing. I woke up with my epi-pen in my hand- thank GOD I woke up before injecting myself!! I’m so thankful for my therapist a few years back who helped me get a grip on my fears and anxieties. It’s still hard for me to think about the fact that I’m going to have more anaphylactic reactions in my lifetime. I hate them. But I accept it.